When I was a little girl my mom made a point of fostering my love for learning and reading by always taking us to the library. There is something about getting your own card and picking out your own books that is just do special. This summer marks the year that T got his his own library card and started the summer reading book club at our local library! 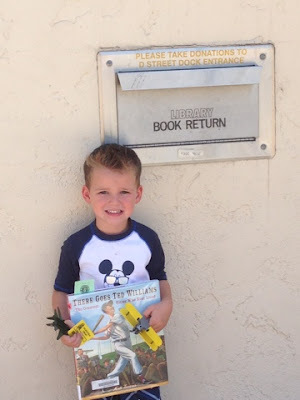 It is so wonderful, we visit the library each week, he gets a special prize for reading his books, and he gets to pick out new books each visit! I know that my little love bug will love reading and learning as much as I do since it is just so much fun!! So get out there, check out your local library and see what fun summer events they have in store for you and your little ones!